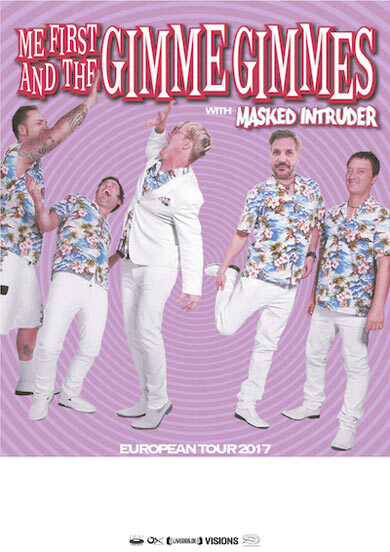 We are excited to announce that ME FIRST & THE GIMME GIMMES will be jumping the big pond again next February. Head HERE for the dates and info! Support on all shows will be MASKED INTRUDER. PEARS PLAYING REBELLION FESTIVAL AGAIN! This just in! 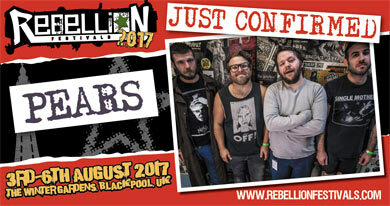 PEARS will be performing at the next edition of REBELLION FESTIVAL again! Head HERE to get your tickets! VERY STOKED! SCHEISSE MINNELLI - NEW E.P. OUT DEC. 2ND! 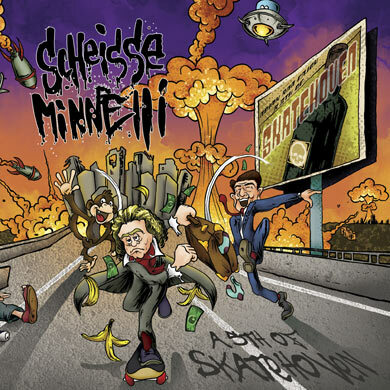 Skatepunk combo infernale Scheisse Minnelli roll over Beethoven (s.i.c.!!) w. broken boards, blasting wheels and barking trucks, 4 new songs - all hi-octane killers in the paths of R.K.L, Blast, D.R.I. ... skate or die! BIG D AND THE KIDS TABLE TOUR STARTS TODAY! Yabadabadoo! Big D and the Kids Table's tour starts today with The Bennies and Less Than Jake! 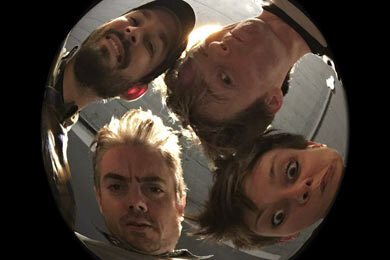 Our Lotta gave them the tour book yesterday and probably a hangover ;) !! Check this out! 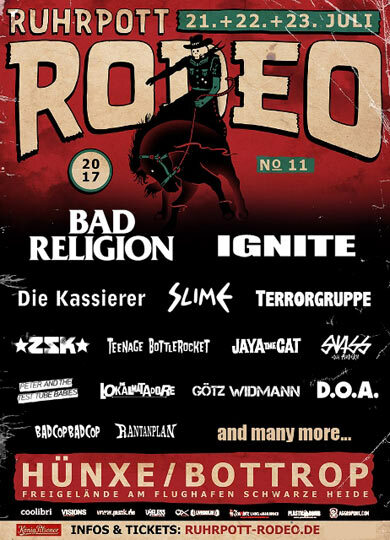 Ruhrpott Rodeo announced the first 15 bands! 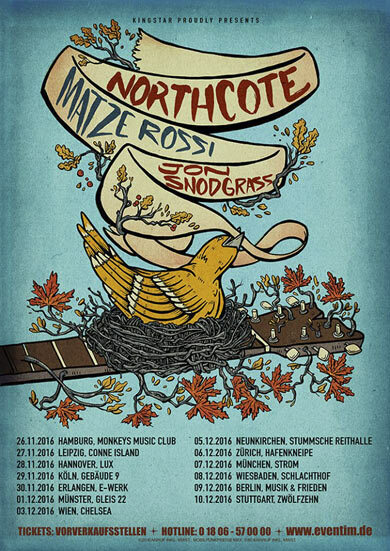 We are thrilled to announce that JON SNODGRASS is coming back to Europe this winter! He will be supporting NORTHCOTE on his upcoming November and December dates all across mainland Europe and the UK. Check HERE for more info, ticket links and a list of all dates! 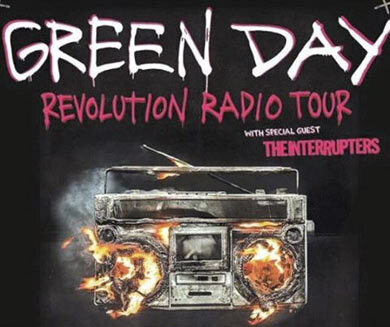 We are so stoked to announce that THE INTERRUPTERS will support GREEN DAY on their Revolution Radio Tour through Europe in January / February 2017!!! Und bis zum Winter is auch nich mehr lang... dann kommt nämlich die Tiergarten Tour Teil 2 zu euch... es wird schon an einer 1A Set-Liste gearbeitet.